Move ’em On, Head ’em out, Then Hide! Another key to an 83% approval rating? Put all your political opponents in jail. The comment above was posted on my recent post about Vladimir Putin. Today my blog feed brings an illustration. 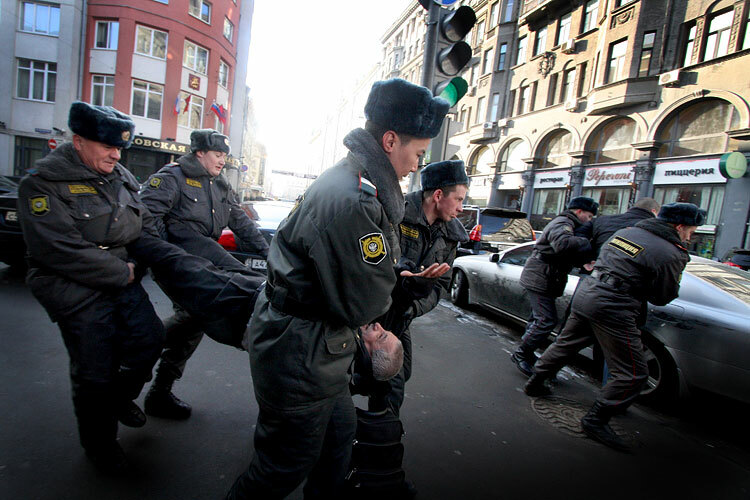 Here we see a participant of a legal non-violent picket of the Moscow City Hall being carefully handled by the militia (Russian name for police). Here we see his partner being picked up as well. …being loaded in the van. Single-person pickets do not require permission. 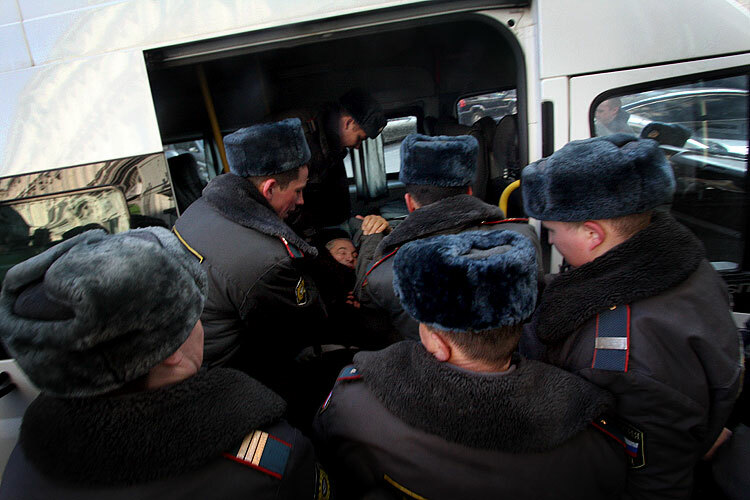 According to the article these people were asked to leave and when they refused, were carried out and taken away. To the best of my knowledge protesters are usually let go the same day or the next morning, apparently Russian militia just enjoys the process and resulting news reports.